If you are looking for an attractive and versatile pickup truck that can offer you powerful engines, excellent driving quality, rich tech and safety equipment, then the 2019 Chevrolet Colorado is unrivaled. It is available in five trim levels, including a towing and hauling configuration. Though large and robust, Colorado’s interior is modern with quality materials and provides comfortable and pleasant driving. 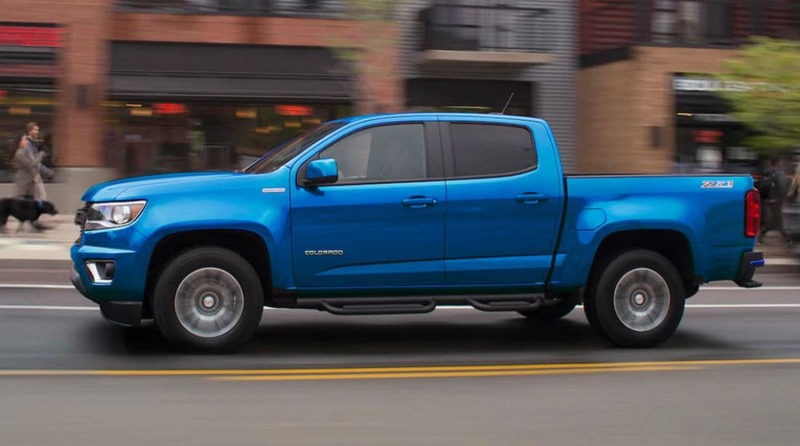 Given the versatility, the 2019 Chevrolet Colorado will easily meet the requirements of Romeoville drivers, so call today Ron Westphal Chevrolet and schedule a test drive of this fantastic truck. We are located just next to Romeoville, so stop by and take advantage of our fantastic offer. The 2019 Chevrolet Colorado is at the very top of compact pickup trucks, primarily thanks to its powerful performance. With its choice of engines, it will easily meet your needs, whether you need a vehicle for daily driving or a work truck. Solid brakes, precise steering, agility and smooth running across all types of terrain the 2019 Chevrolet Colorado will provide you with great driving quality, and it boasts of the best fuel efficiency in the class as well as excellent towing and hauling capacities. 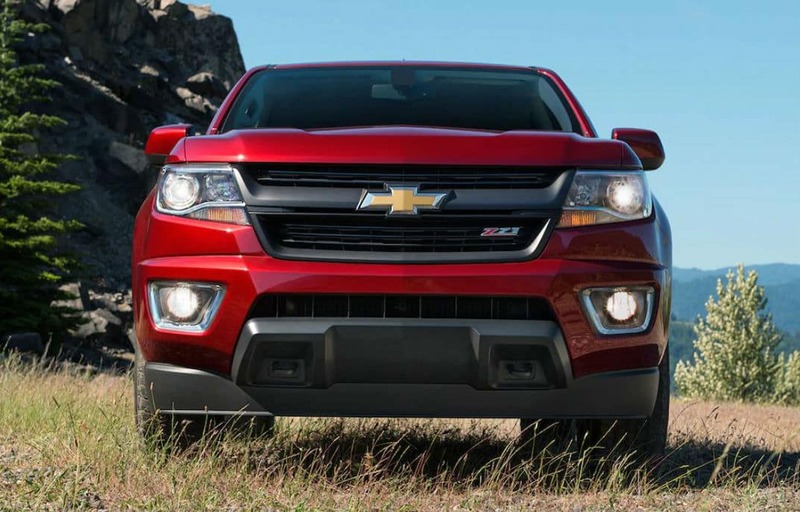 With its standard tech features, the 2019 Chevrolet Colorado will satisfy even the most demanding tech lovers. It comes with the easy-to-use infotainment system, responsive touchscreen, and smartphone integration that will allow you to listen to music or use app from your phone on the go. The new Colorado offers several USB ports, and controls are easily accessible to the driver. The 2019 Chevrolet Colorado has earned some great scores from NHTSA including highest ratings in five crash tests, and offers a number of driver safety assists for increased driver and passenger safety. 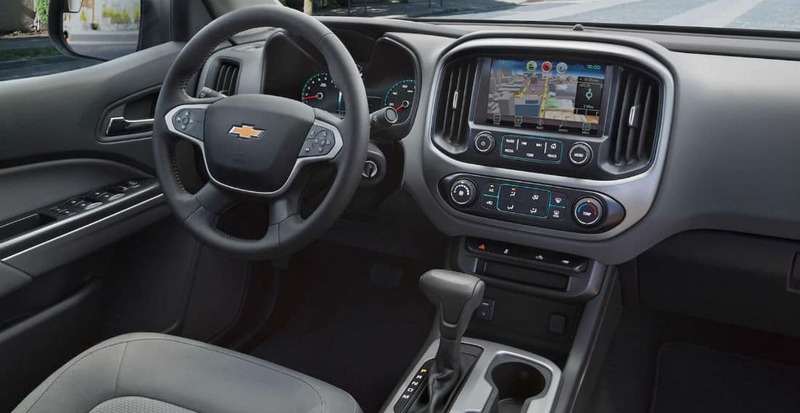 Depending on whether you choose the Extended Cab or Crew Cab model, the 2019 Chevrolet Colorado has 2 to 5 seats and all passengers have plenty of space. The seats are supportive and comfortable, ensuring a pleasant ride. The cabin is well configured, with plenty of quality, durable materials and it is well insulated from outside noise. 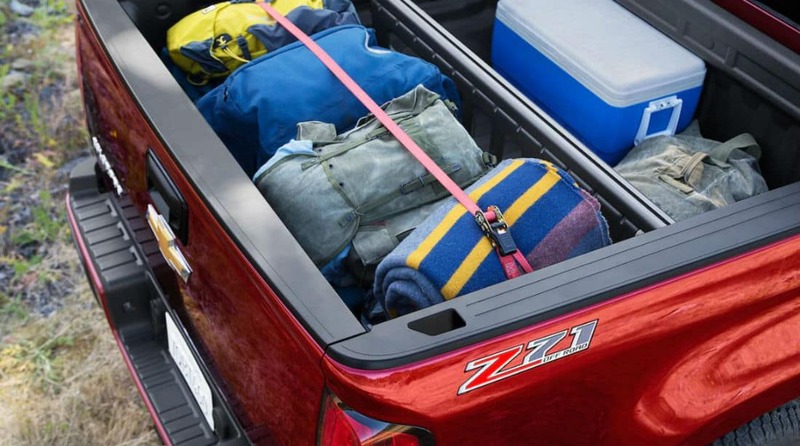 The 2019 Chevrolet Colorado has a large cargo volume with a lot of useful bed features, and it comes with a higher floor height than most of its competitors. When it’s properly equipped with the turbodiesel engine, the 2019 Chevrolet Colorado has the leading class tow rating as well as outstanding hauling capacities. When you purchase a Chevrolet you want the best, you also deserve the best shopping experience, so visit Ron Westphal Chevrolet located near Romeoville, IL. You will find a huge selection of Chevrolet, both new models and well-maintained used vehicles. When you choose Ron Westphal Chevrolet near Romeoville, IL we are there for all your car’s needs. Our Service Center does it all, whether it’s time for regular maintenance or you a larger repair just schedule an appointment. 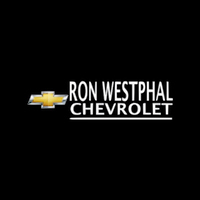 Ron Westphal Chevrolet is perfectly located, so drivers from Romeoville, IL can visit us today and take advantage of our excellent deals and customer service.